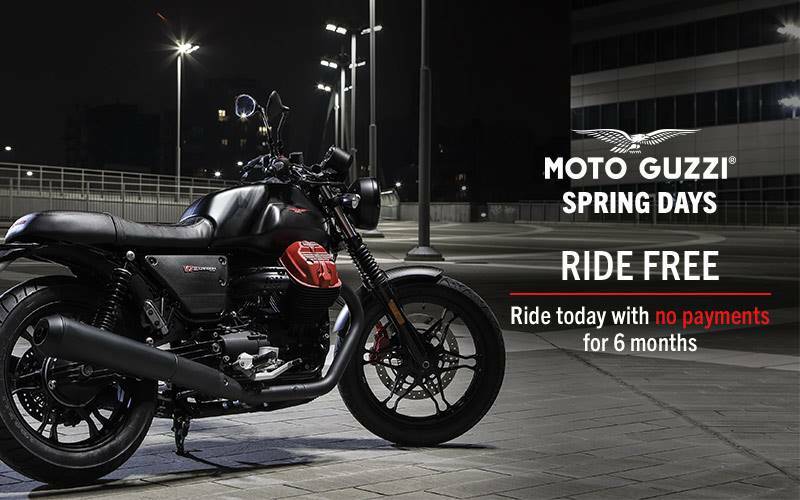 IT'S NOT JUST ABOUT STYLE: Biking qualities and riding pleasure get an even greater boost from the Öhlins shock absorbers with adjustable preload in extension and compression. 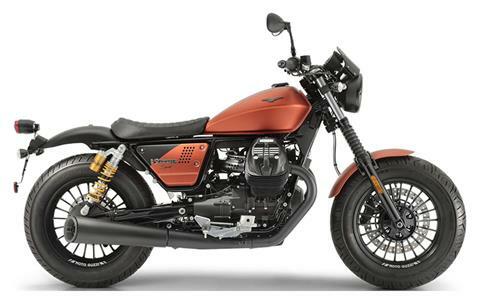 The type-tested slip-on exhaust in matt black with aluminium cover intensifies the distinctive roar of the Moto Guzzi twin-cylinder 850 engine. 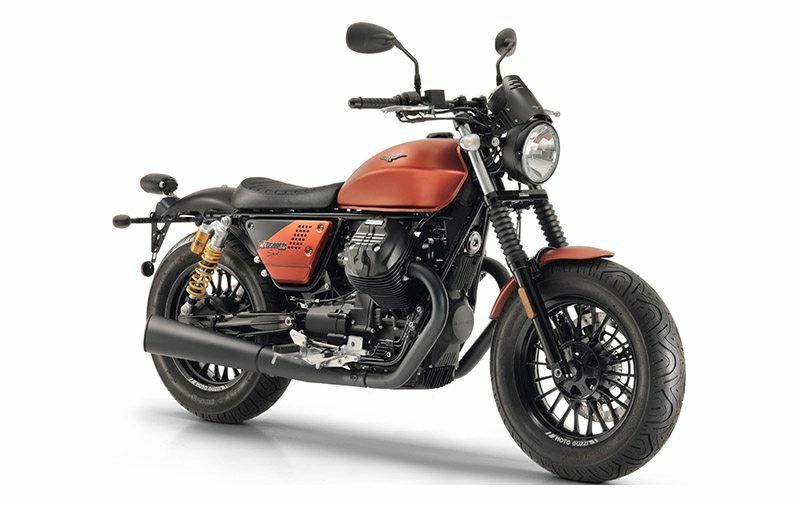 DOWN AND CLOSE TO THE ROAD: The lowered single-seat saddle creates a low-ride experience in the archetypal hunched-over, sporting riding position. 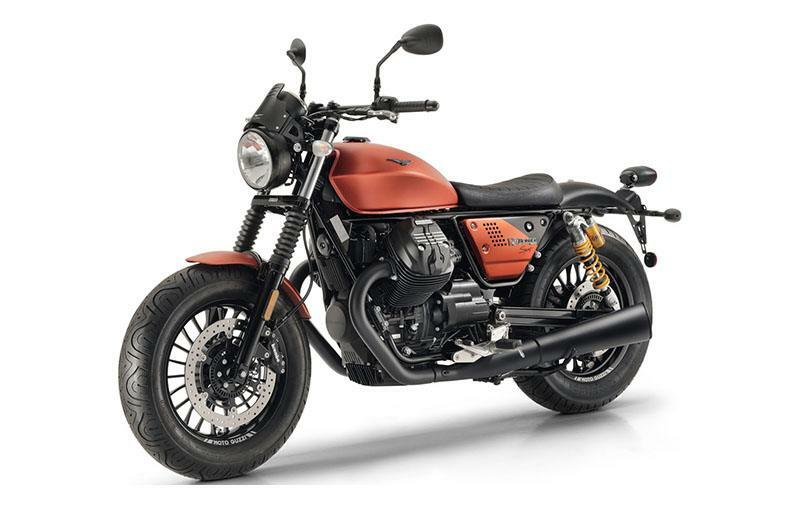 Combined with the standard drag handlebar and riser which are shorter than the V9 Bobber, the result is lowered lines and an agile, zippy appearance. SPORTING DNA AND AGRESSIVE TOTAL LOOK: Its “tough guy” DNA is instantly apparent in the overall look with the classic matt black colouring grittier than ever on this special version where it is teamed with vibrant orange. 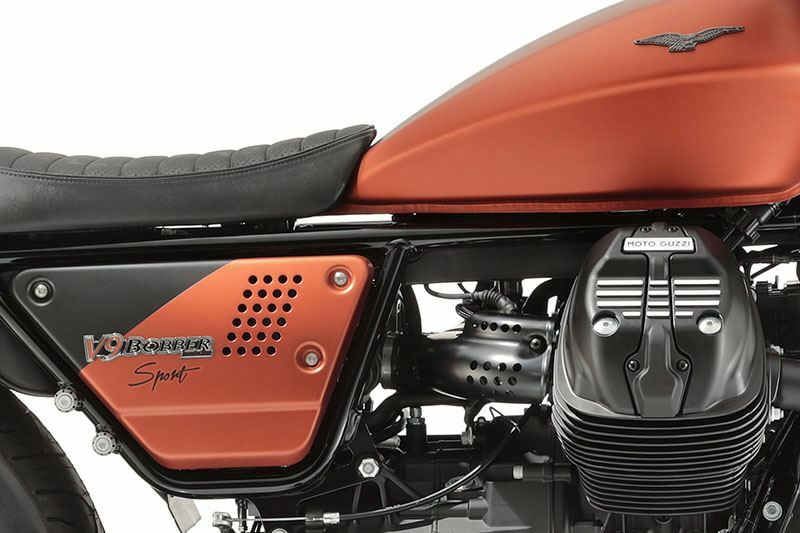 The bright fuel tank packs a colourful punch, adorned by the famous eagle in a burnished finish, and flanked by aluminium side plates. MORE ECCENTRIC THAN EVER: It’s hard to miss the fact that this V9 is a particularly bad boy. 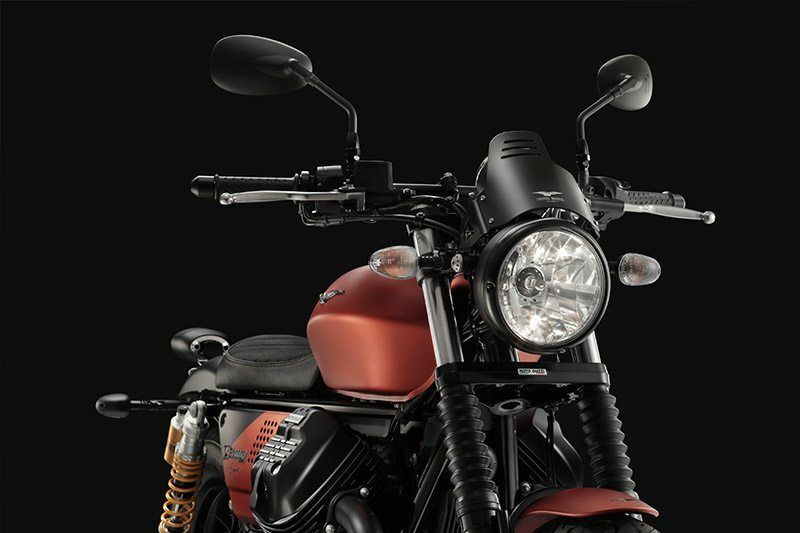 If its defiant two-tone colouring wasn’t enough, there are the numerous details such as the black aluminium fairing which dominates the front, the headlight lowered in typical racer style and the shortened front fender. But as with many bad boys, there’s no shortage of charisma! 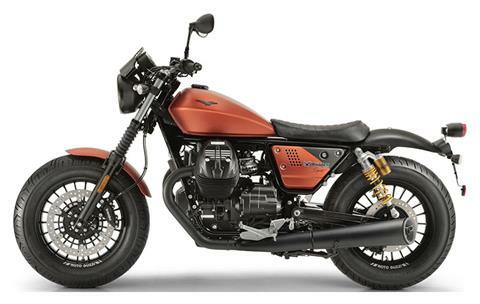 MGCT Moto Guzzi Traction Control, Standard double channel ABS, Ride by Wire. Single‐seater, lowered headlamp and dashboard with aluminium fairing. Machined fuel tank cap, Machined footrest support, Short front fender, Slip‐on exhaust.